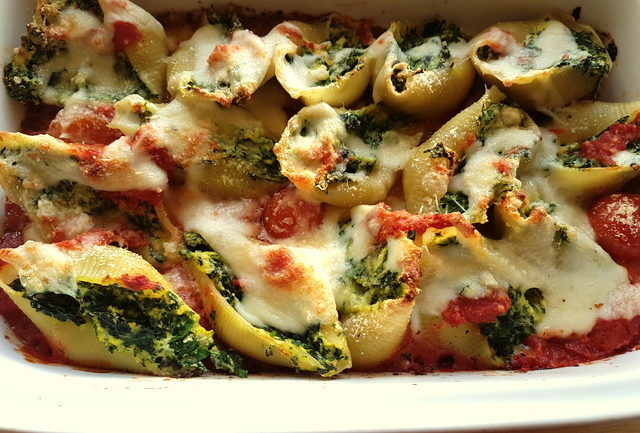 Baked conchiglioni pasta shells with spinach and ricotta. Conchiglioni ripieni di ricotta e spinaci. 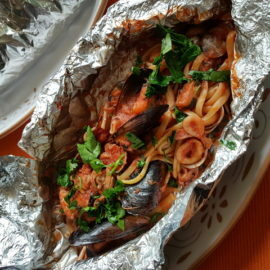 Traditional baked pasta shell recipes. Conchiglioni are the most well-known and loved large pasta shells in Italy and abroad, but lumaconi (snail shells) are beautiful too! 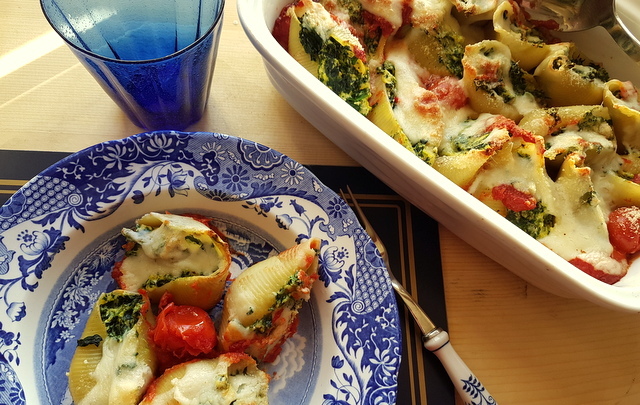 The two most traditional baked pasta shell dishes are either with a meat ragu filling or like this recipe for pasta shells with spinach and ricotta. Conchiglioni are a typical southern Italian pasta, originating from Campania. For the best quality conchiglioni, if you can, look for pasta di Gragnano. This is pasta made in and around the town of Gragnano near Naples, where pasta has been produced commercially since the 1500s. Gragnano is home to some of Italy’s best dried pasta makers. 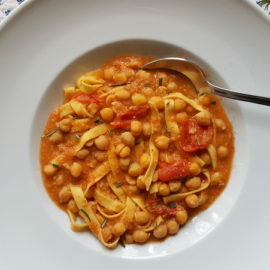 In fact, for a pasta to be labelled as ‘di Gragnano’ it must be produced in a legally specific area in and around the Bay of Naples and must be made with Italian durum wheat and water from the Monti Lattari. Of course, other pasta companies produce good quality pasta and if you can’t find ‘di Gragnano’, don’t worry! Your dish is still bound to be delicious! 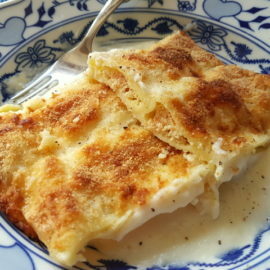 This recipe can also be made with lumaconi or cannelloni. Italians usually serve pasta as a first course (primo piatto) on special occasions and then follow it with a meat or fish main course. This is why, especially nowadays, many prefer to use a vegetarian pasta recipe, rather than meat. It just makes the meal lighter. 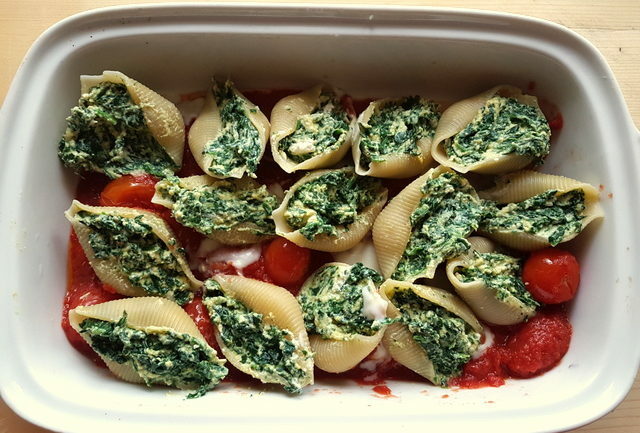 Of course, this pasta shells with spinach and ricotta is also a great recipe for vegetarians. 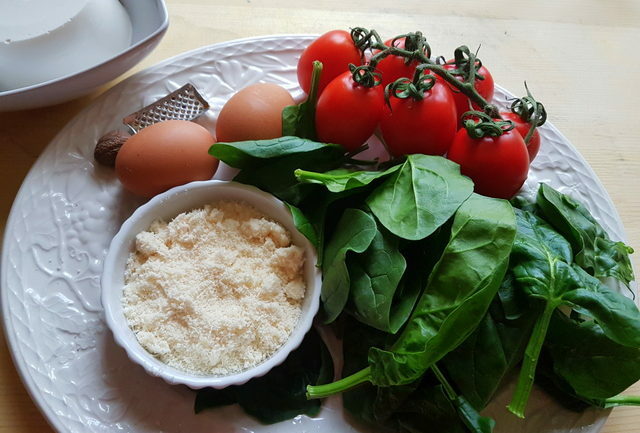 Making this baked pasta shells with spinach and ricotta. Although not a difficult dish to make, this pasta shells with spinach and ricotta involves a few separate cooking steps. 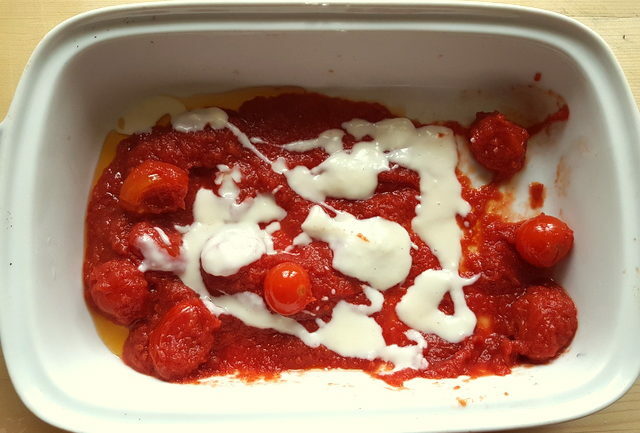 The pasta needs to be precooked; you’ll have to make a simple tomato sauce, as well as some béchamel and the spinach also needs to be precooked and then mixed with the other filling ingredients. 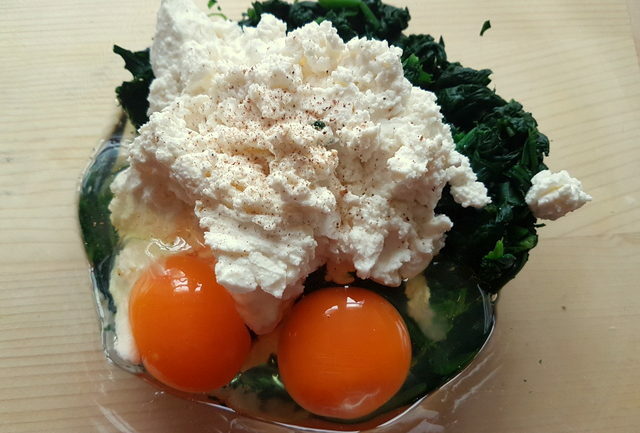 To speed things up, you can use ready-made tomato sauce and béchamel in addition to defrosted frozen spinach. 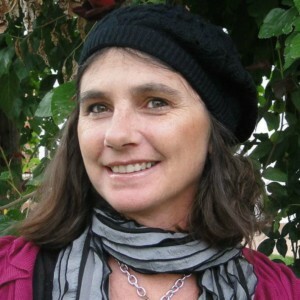 However, I believe fresh is best so if you have the time, it’s worth the effort! 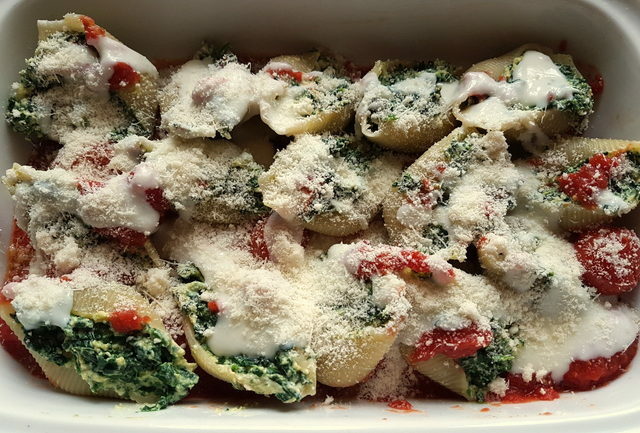 Whichever way you decide to make this pasta shells with spinach and ricotta recipe, I’m sure it will not only be seriously yummy but family and guests will love it too! If you do decide to make this recipe, I’d love to hear how it turns out. You can send me an email through this site, rate the recipe and add a comment or post a message on the Pasta Project Facebook page.